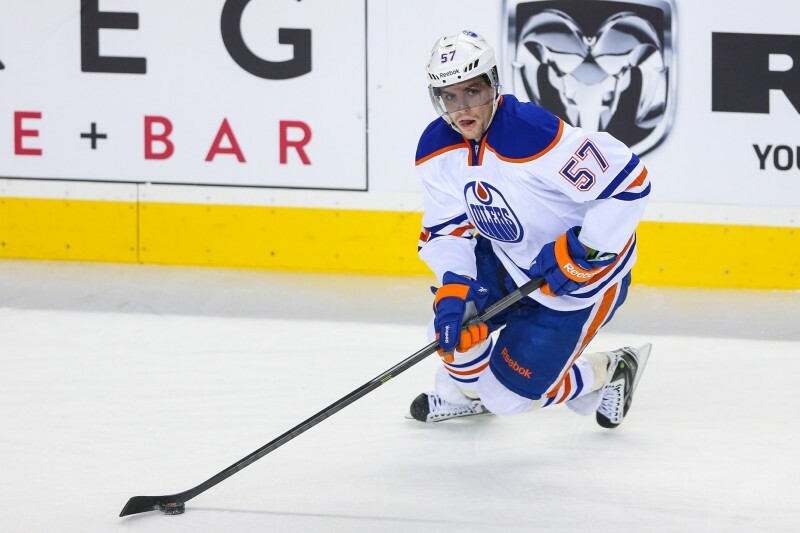 Can the Edmonton Oilers Survive without Taylor Hall? In Edmonton’s most recent game against the Vancouver Canucks, star forward Taylor Hall was injured after crashing hard into the net early in the second period. Hall, who was briefly helped off the ice, did not return to the game and was later diagnosed with an MCL sprain. Hall is expected to need two to four weeks to recover from his injury, meaning he could be held out of the Oilers lineup for as many as 13 games. Early into the current 2014-15 season, Hall has by far been the best Oilers forward. Taylor is dangerous when he is on the ice, both with and without the puck, and has displayed his skills consistently, currently leading the team in goals with six, as well as in points with ten. It goes without saying that Taylor Hall is one of the most, if not the most important player on the Edmonton Oilers. The Oilers have had an up and down season so far, as after losing five straight then winning four in a row, Edmonton has dropped another two consecutive games. Can the Oilers Survive without Hall? It’s common knowledge that the Oilers have not been a successful team in recent history. For many in the hockey world, the Oilers current record is surprisingly good, yet for the Oilers and their faithful, more is obviously desired. Yet with Taylor Hall now injured, can the Oilers play good enough hockey to remain competitive in the West? If the Oilers hope to keep their dreams of a Stanley Cup Playoffs berth alive, they will need key depth players to step up to replace the production as result of Hall’s injury. There are quite a few players whose game has been relatively sub-par so far this season, and with Hall out, the opportunity presents itself to find success playing first line minutes. The important question is; who can and will up their game and take advantage of the opportunity? David Perron has a chance to turn his season around in a hurry following Hall’s injury. Perron, who led the Oilers in goals last season with 28, has managed only a single marker so far. Although he has five assists and a total of six points, tied for third on the team, much more is expected from Perron, whose great hands and agility down low make him a consistent scoring threat. Teddy Purcell is an intriguing option to fill in for Hall on the first line. Although Purcell also has only one goal this season and five points, his size could be of great benefit in strengthening the top line. At 6 foot 3, Purcell is great at using his size, especially down low in the offensive end, a quality which would be beneficial to the first line which plays a style highly focused on cycling the puck. Teddy’s size would help to open up ice for Eberle and Nugent-Hopkins, who have both gotten off to relatively slow starts this season. And then there is Nail Yakupov. Could the opening made by Hall’s injury finally be the opportunity Yakupov needs to play to his huge potential? The Oilers and their fans certainly hope so. Nail has a ton of skill, yet other than in his rookie season, has failed to apply it at the NHL level. In playing with Eberle and Nugent-Hopkins, Yakupov certainly would not be lacking in the skill department, but would there be too much skill and too little size playing significant minutes every night? Pouliot was awarded the opportunity to play on the first line by Oilers management ahead of their game against the Philadelphia Flyers. The decision is a smart one. Pouliot’s game is a successful combination of both size and skill, attributes which the previous three players identified have one or the another of. Like those before him, Pouliot has had a slow start his season, having scored only one goal and four points thus far. Time will tell whether Pouliot is the right replacement long term during Hall’s injury, yet given his proven skills, it is a decision which will likely pay dividends. Based on the bevy of possible replacements for Hall on the top line, it seems as though Taylor’s absence will be less detrimental than in previous years. One, or all of these players need to step up their games, that is for certain, yet one must do so logging bigger minutes with greater offensive and defensive responsibilities. The suspension of Andrew Ference following their game against the Vancouver Canucks game also will not help the team as a whole. The Oilers defense will also experience a greater level of stress, especially younger defenders who will be asked to play greater, more important minutes night in and night out. All in all, the Oilers can survive in Taylor Hall’s absence. Edmonton has a depth of forwards with skill and size who have the potential to step up and play bigger, more important minutes. What remains to be seen is whether these players will be up to the challenge. Hockey is of course a team game, and Hall’s presence on the Oilers does not determine the teams overall success; yet he is a player who is largely influential to their success.